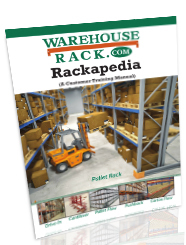 Warehouserack.com is one of America's largest distributors of Used & New Warehouse Equipment. 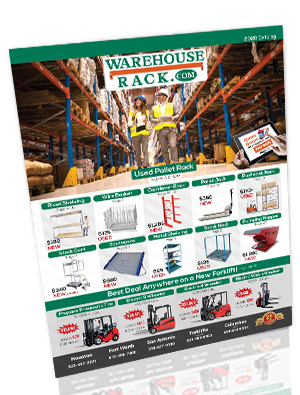 Our team of professionals has extensive material handling expertise and is available to help you improve the efficiency and reduce the cost of operating your warehouse. In addition, our installation crews travel the world to install all products we sell. We serve many of the most successful companies in the world ranging from Fortune 500 companies to small startup companies. Our facilities are strategically located throughout North America and Central America. We are able to deliver what you need when you need it. Our most popular online tool is the quote genie. 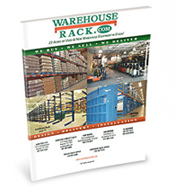 It allows you to enter the length and width of your warehouse online at genie.warehouserack.com or by using our mobile app to immediately receive a detailed layout drawing and a quote for either used or new shelving or racks. By clicking on the different forklifts available, you can immediately visualize how your rack layout and pallet storage capacity can improve based on the type of forklift you select. We sell Bendi Forklifts, which allow you to store 50% more pallets as compared to a standard sit down forklift.